Dining at hundred acre bar. We’re moving with the times. 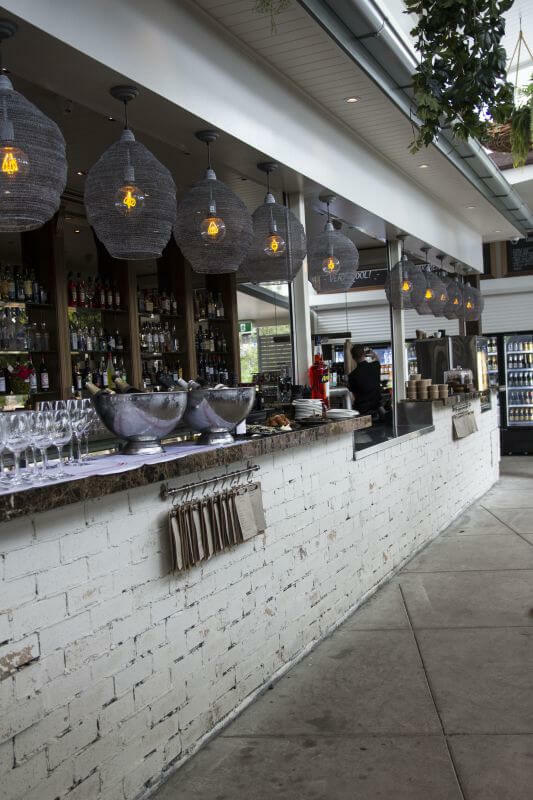 Over the years, hundred acre bar has adapted with modern dining. Our menu is a cunning story of multicultural flavours continually inspired by modern trends in food and Australia’s cultural diversity. Our menu appeals to families, retirees, young professionals and most other age groups, and our seasonal menu keeps our dishes fresh and appropriate for the time of year. The food is uncomplicated with fresh ingredients and fantastic chefs plating up sumptuous dishes. 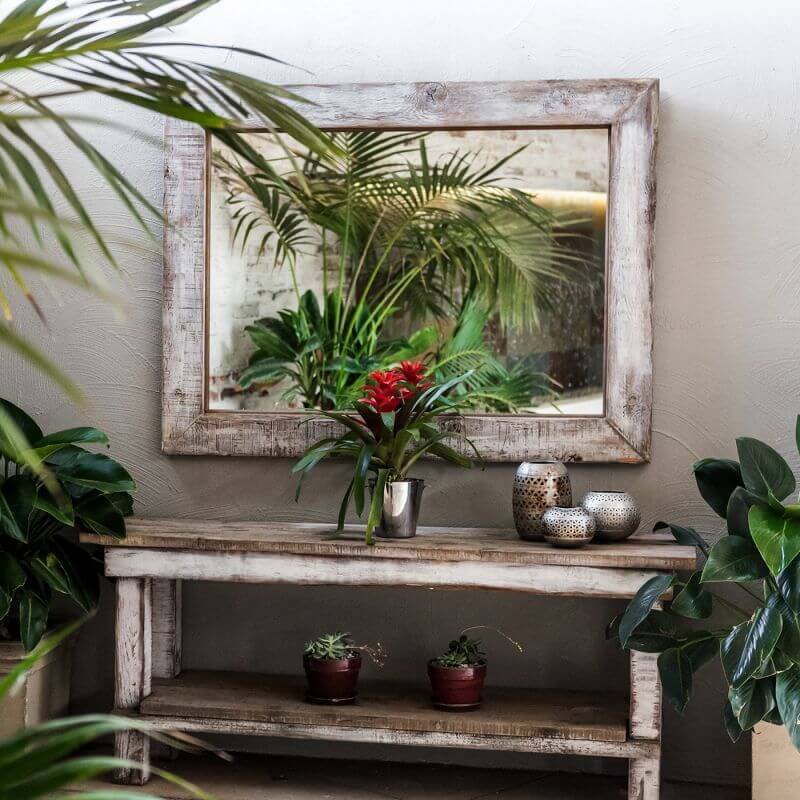 And we’re always planning for the future, to keep up to date with trends and keep things interesting. Take a peek at our menus. All your favourites your family and friends will love. Fresh, uncomplicated cuisine inspired by many cultures. Lunch and dinner quality on a smaller scale, plus all the bar drinks. Group bookings of 12 or more. 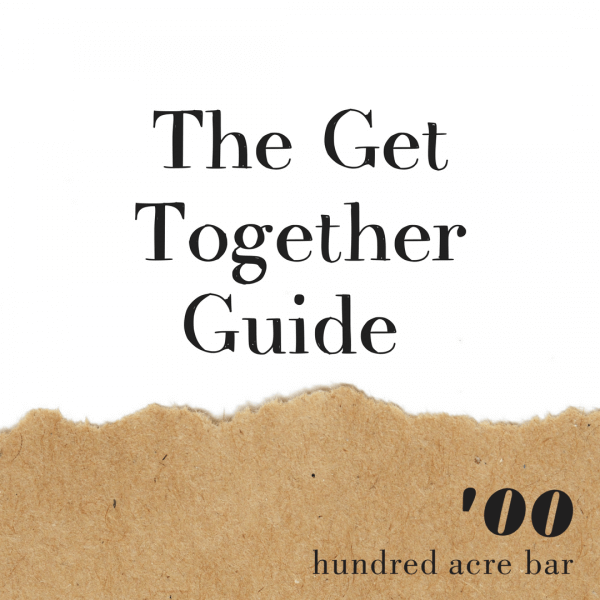 Download the hundred acre bar Get Together Guide to view our sumptuous set menus for larger group bookings of 12 or more guests. 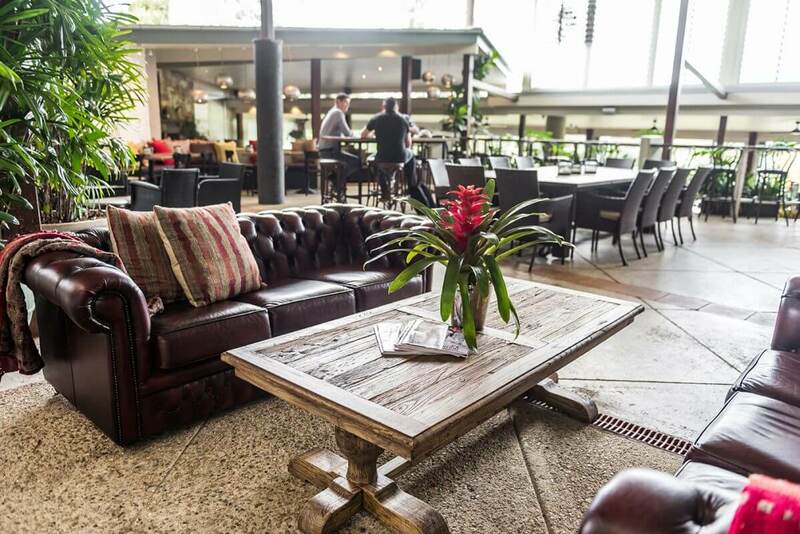 Plan your next unique experience at hundred acre bar. No booking required. 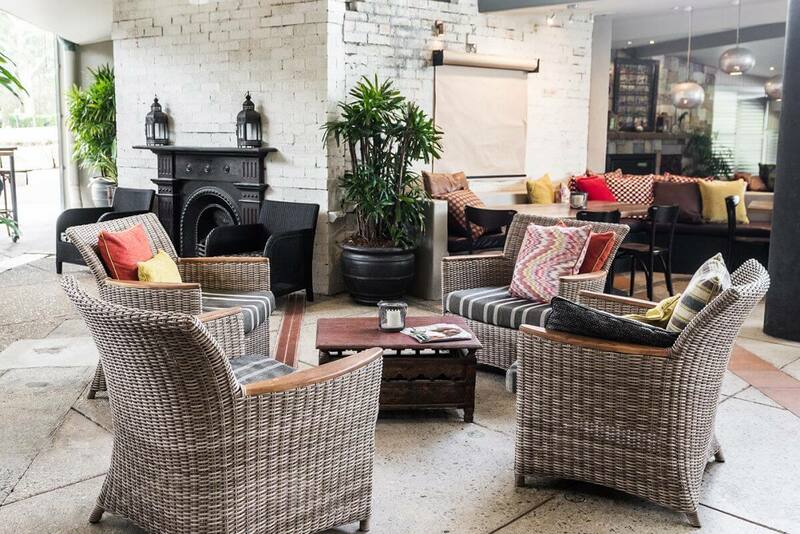 Light breakfast options, bacon + egg paninis & morning tea sweets available at the bar. Bookings preferable. Walk-ins welcome pending availability. Book online or phone 07 3870 3433. 15% surcharge applies over Easter long weekend. Make a reservation at hundred acre bar today. You can now reserve a table at our restaurant online using this form. Follow the simple three step process and get instant confirmation. 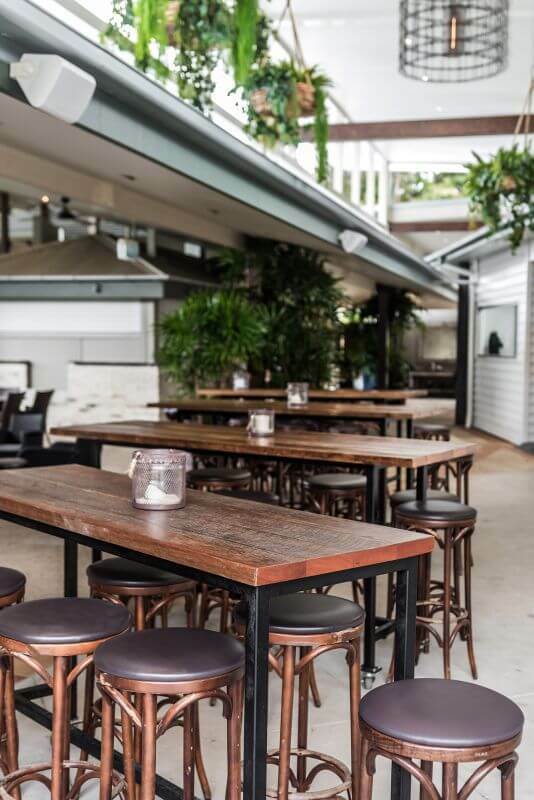 For larger bookings of 20 people or more, please call us on (07) 3870 3433 as deposits and set menus apply. 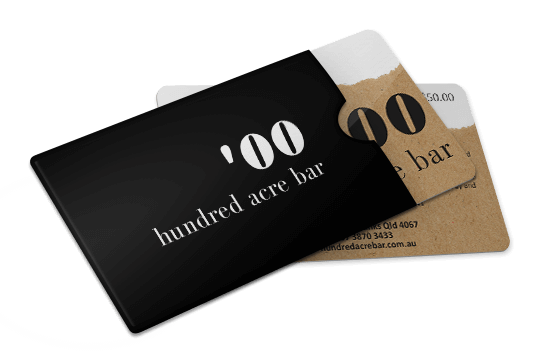 Give the gift of a wonderful experience at hundred acre bar. With over 20 cooking and event classes, and a menu that changes seasonally, the happy recipient of our gift voucher will make great memories. I had the bacon & eggs, which was fabulous! The dish was perfectly balanced between the mild salt of the bacon and the mild sweetness of the chutney. The food is interesting and very well presented by knowledgeable and friendly staff. The drinks are reasonably priced too. It’s a delightful setting. The outlook over the golf greens and openness of this restaurant immediately relaxes the visitor. The service is considerate of the diner,the menu is not too extensive and the food is delicious.